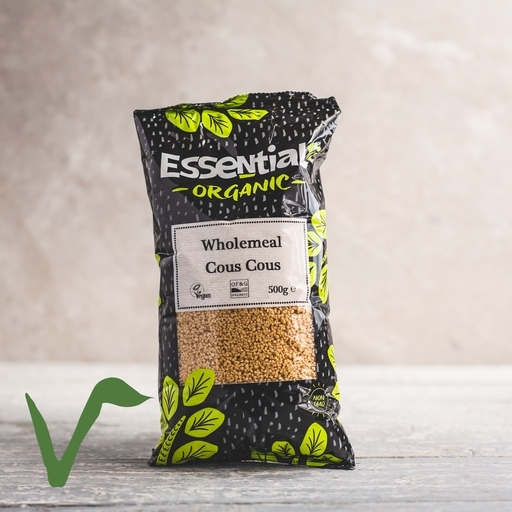 Light and fluffy organic wholemeal couscous. A filling, ultra-quick alternative to rice or pasta. It’s a staple throughout North African for sopping up the juices of succulent stews. Also good as a bed for a pile of roasted root veg or rich lamb, stuffed into peppers, or giving substance to summer salads. Add couscous to a dinner dish for the last minutes of cooking, as with this Moroccan chicken and couscous broth. The easiest way of cooking is to fry 1 cup of couscous in a little oil for 3 minutes, then cover with 2 cups of boiling water or stock. Leave for 5 minutes then fluff with a fork and season. Once opened, couscous will keep for up to a year in a cool, dark cupboard. Seamed dried cracked Durum wheat (100%).